I hope you’ve found me on your quest for a compassionate, articulate and entertaining childbirth educator or for a birth class in the Brighton, Michigan area. Here you will find my blog posts, class information for expectant couples and birth professionals, as well as client testimonials (coming soon). Check out the Livingston County Birth Circle for more information about the free monthly support group for expectant women. Join us! I am thrilled to be offering group classes in the newly renovated spaces of Perspectives Wellness Center at 2200 Genoa Business Park Drive in Brighton, Michigan. 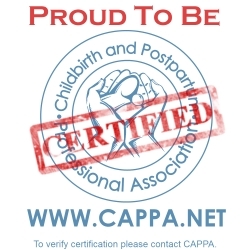 My group classes are Evidence Based Birth® Childbirth Classes which you can learn more about here. There is a limit of 6 couples for each group class. Classes may fill quickly. You can request to join the wait list for the above tentative classes by messaging me and I will notify you when registration opens. Next Savvy Birth Pro Workshop: July 27th, 2019. RSVP to the Facebook event or message me to be put on the contact list for when tickets are released. Are you passionate about evidence based care, but regularly witness hospital policies taking precedence over your client’s choice? It can be frustrating to watch clients receive care that isn’t based on research and not quite knowing how to help. The Savvy Birth Pro Workshop (3 contact hours) was developed by Evidence Based Birth® to give professionals the skills you need to make a genuine difference and help your clients attain the best possible chance at evidence based care during pregnancy and labor. After attending the 3-hour Savvy Birth Pro Workshop, you will walk away with confidence in your ability to help your clients assert their right to evidence based care in a respectful way that builds bridges, not walls. We believe that the inspirational knowledge you will gain from the Savvy Birth Pro Workshop will have a positive ripple effect that extends to your clients, the professionals you work with, and your community! You’re no longer alone in the quest to help more families receive respectful, high quality maternity care! The Savvy Birth Pro Workshop does more than provide great skills; it creates a strong community of connected professionals who together share this important mission. COMING SOON: Spring/Summer 2019 in the Lansing area. Contact me to be added to the wait list. These classes are available to your professional organization or medical/nursing student groups. Contact me for further information. Did you know that the number one reason for induction is “post-dates?” In this Evidence Based Birth® seminar, packed with facts, you will learn the evidence on induction for reaching the duedate and for going past 41- 42 weeks. We’ll also cover a bit about “advanced maternal age,”and discuss the actual numbers of increase in stillbirth with older age. What is the evidence on the safety of Vitamin K? Does delayed cord clamping lead to jaundice?How can we help families who give birth by Cesarean get skin to skin in the operating room? Inthis seminar, we will take a look at the research on newborn procedures for term infants duringthe “golden hour.” We will cover the history and research on interventions that happen duringthe first hour of life—including which procedures are the “best practices,” and whichprocedures can be safely delayed or declined! This workshop will challenge you to address your fears and concerns about transfers fromplanned home births into the hospital. What guidelines can hospital staff follow when acceptinga home birth transfer? What can home birth providers do to ease the transfer? What are thebasic safety statistics of home birth, and what is needed to make home birth safer?